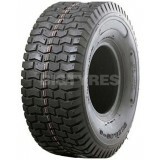 Deli tyres are made by Industri Karet Deli limited who are based in Indonesia. They began manufacturing tyres & inner tubes in 1970. Deli now produces tyres for motorcycle, scooters, agri, implement, industrial, truck & bus tyres. The Deli brand can be found in over 50 countries and know for producing reliable tyres at an economy price point. 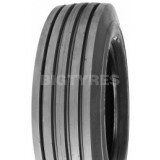 The Deli Maxi Grip SG-789 tyre gives wide spaced cleats to ensure a bigger bite into the ground. the cleat treads are deep but still flexible so that clay and mud can be cleared easily as your tyre spins. The Deli Maxi Grip SG-789 tyre has a tough rubber compound so the tyre is more durable but still flexible so its easier to fit to your rims. 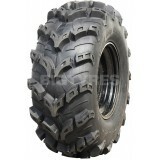 The Deli Maxi Grip Ultra SG-781 tyre is designed for ATV's in Side-By-Side use. It features an impressively deep 30cm of tread, which delivers maximum traction and stability when working on hill sides or towing, The Deli Maxi Grip Ultra SG-781 tyre has thicker lugs than the standard Maxi Grip version, and comes with an 8 ply rated carcass for increased puncture resistance. The Deli Maxi Grip Ultra SG-781 tyre still delivers excellent self cleaning and stability and passes the toughest industry leading quality control tests. The Deli S-319 tyre has a multi ribbed tread pattern and is fitted to several agricultural implements including Kongskilde cultivators. 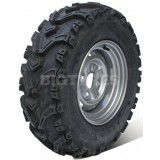 The Deli S-319 tyre is a tube type tyre so an inner tube must be fitted.